Right up front here I want to state that I am a Laggard. I feel disdain coming at me from all sides and I want to tell the world, right here and now, that I want to be loved. The dictionary defines a laggard as “a person who does not move as quickly as others”. Well, I’m not a marathon runner, but neither do I spend my time sauntering. There must be another definition somewhere. Aha! So here it is. You may know about the theory of how new stuff spreads through a culture. It is called Diffusion of Innovations. You know about the bell curve, right? Most people or things in the middle, some off to the left, some off to the right. I could pretend that I am way off to the right end (the high end, the good end) of the bell curve when it comes to being intelligent, or charming, or graceful. (I did say pretend.) Well it seems there is a bell curve in this theory as well, and I am definitely at the far end of this “diffusion”. I am a Laggard! The categories of adopters of new ideas and technologies are innovators, early adopters, early majority, late majority, and laggards. I am a Laggard! It is true. I am very happy being the last to buy anything and will often do it only when there is no other choice. When did you get a flat screen TV? I got my first last year! And it’s not too big either. And I still have an analog TV hidden in a kitchen cabinet which I watch perfectly happily if I can get the rabbit ears to be in the right place. Case closed! This woman is a Laggard! Take her away! But here’s the thing. Why do I have to always have the latest thing if what I have works perfectly well? I have plenty of things I want to do and have to do, so why should I spend time learning how to use a new technology when what I am doing now works? I don’t care how “cool” some new phone looks. And by the way, if you read The Noticer’s Guide to Living and Laughing, you will see that I have a whole section on Totally DeTestable Technology ™. Yes, I have trademarked that name. Do you know how to flush a toilet? I bet you do. So why do we need “self-flushing” toilets that don’t flush when you want them to, but often scare the bejesus out of you by flushing at inappropriate times? That’s just one example of Totally DeTestable Technology and one example of why Laggards are not always wrong. How about valuing simplicity? To me technology is a means to an end, not an end to an end. I don’t want the latest and greatest. I just want to get the darn job done. I don’t even own an electric can-opener. Why should I? A handheld works just fine and washes easily. Ice cubes from a refrigerator? Don’t even get me started on how one leaked on me years ago and we had to replace a floor and a ceiling. Hooray for ice cube trays. Automatic hot water from the sink to make tea quickly? I love to hear the roar of a good boil on the stove. Am I hopeless? I guess I am. But I am happy hopeless and still want to be loved. Please don’t call me a Laggard. That is nasty. Call me, perhaps, simplistic. No…. I did not say call me “a simpleton.” Harumph! The Did Ya Notice? Project™, LLC was founded to encourage you to Notice the world around you while you go about your daily business of working and caring for your family, yourself, and your community. One part of our work is to assist businesses by teaching employees to Notice. Noticing is essential for team-building, better communications, and for innovative leadership. The second part of our work is to make the world a world of Noticers. 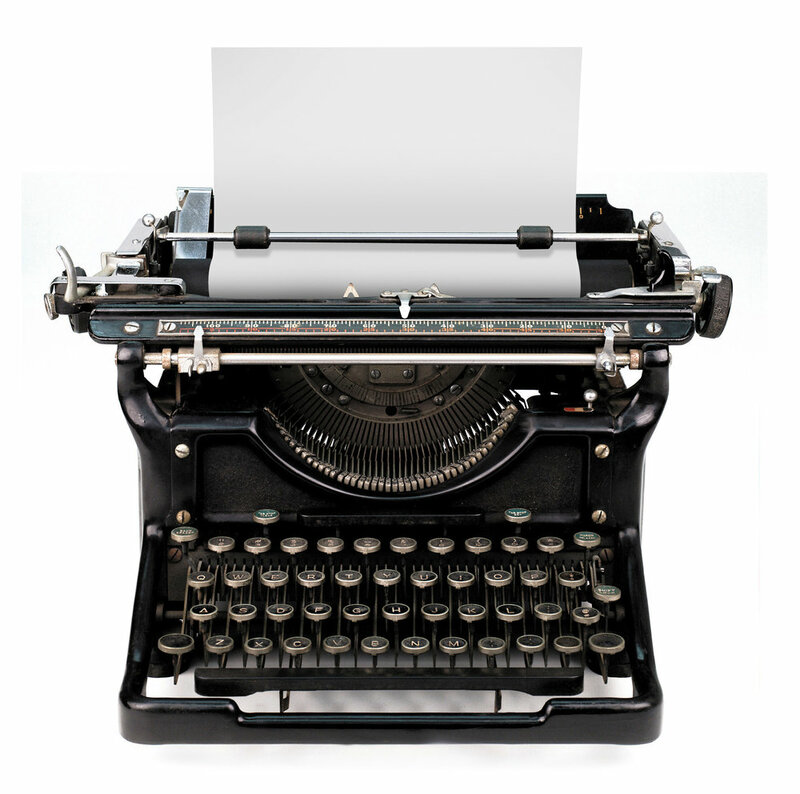 Margery blogs weekly about things she has Noticed. 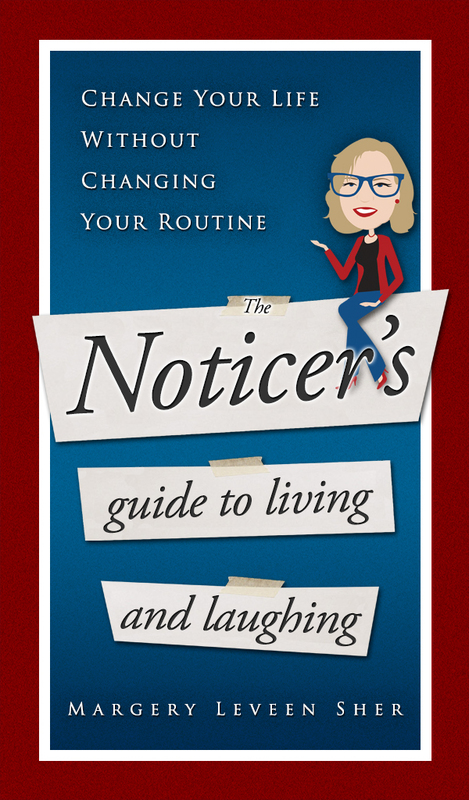 Her new book is The Noticer’s Guide to Living and Laughing – Change Your Life Without Changing Your Routine. You can also find Margery and The Did Ya Notice? Project on LinkedIn, Facebook, and Twitter. Change Your Life Without Changing Your Routine - Buy This Book! A Beacon of Light is the 50 year history of the Falls Church-McLean Children’s Center, a non-profit, community-supported child care center that is the highest quality and diverse in all ways imaginable. Early childhood professionals may find it an interesting case study. This was a major volunteer gig for me the last year, and all proceeds of sales go to the Children‘s Center. All Content including Did Ya Notice?, The Did Ya Notice? Project, Totally Detestable Technology, Human Idiosyn-Crazies ® 2013-2019 Margery Leveen Sher.